Hi, I’m Joe, founder of …in a strange land and I am a big fan of noodles. Ever since I first tasted WonTon noodle soup in Wong Kei in London’s Chinatown as a teenager, I have wanted more. I’m pleased to say I have succeeded in this ambition. The perfect breakfast in my humble opinion, I have since eaten noodle soup everywhere from Shanghai to Singapore (albeit with a couple of notable exceptions). The delicate aromatic broth, wheat or rice noodles and won ton, Char Siu or Roast Goose of Hong Kong and Guangdong, Khao Soy in Chiang Mai, Pho and Bun Bo Hue in Vietnam. I will seek out regional specialities wherever I go, often finding the best examples at roadside stalls or popular local restaurants where one is often the only Westerner in view. Noodles themselves originated in China and it is often argued that they were then spread throughout the world, becoming the pasta of Italy and spatzle of Germany. The name itself is Germanic in origin, noodles being referred to as mien in China and by various other names throughout the Far East. Typically, they are made from a dough created by combining wheat, buckwheat or rice flour with water and then stretched and cut or pulled into strips. Their variety is astonishing and differs from region to region, often depending upon which staple is most readily available. 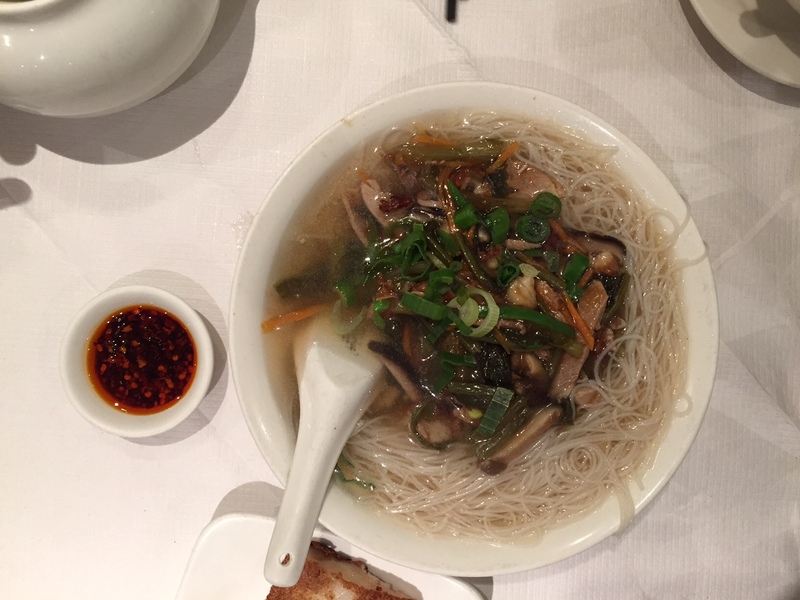 As a lover of Far Eastern cuisine and the humble noodle soup I decided to round up some buddies and embark on an exploration of the noodle soups of the world and where better place to start than London. The food culture of the UK’s capital is growing steadily. As a student, my friends and I would eat in Chinatown regularly as it simply had the greatest concentration of interesting food in the city. 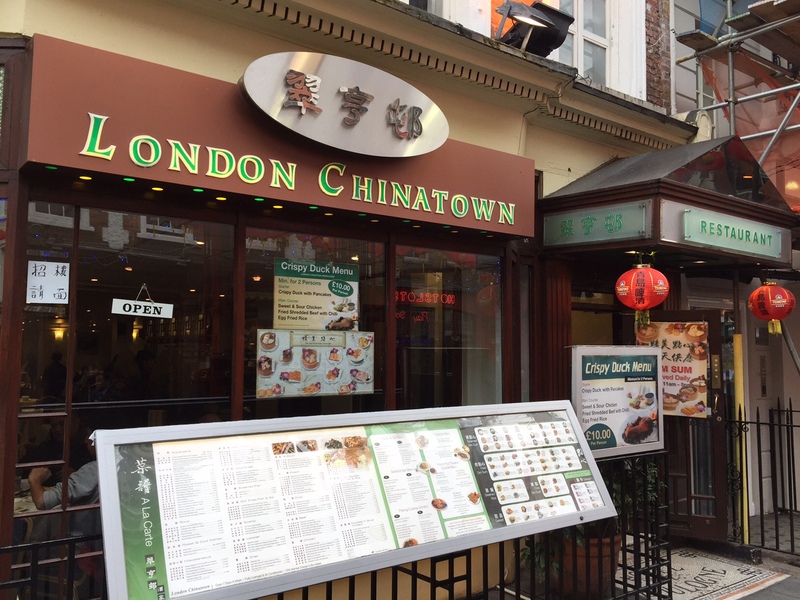 Yes, there were great Indian, Vietnamese and Jewish restaurants and delis and of course high-end eateries, but for pure value and variety you couldn’t beat Chinatown and in particular that bastion of Cantonese cuisine, Wong Kei. Nowadays you can go on a gastronomic tour of the world simply by taking a stroll around the West End and the City. Chinatown is a daunting prospect, even for people who, like us, have been eating here for decades, due to the sheer volume of eateries. My friend of over 25 years, Professor Farlan Veraitch, has been coming here with me 20 of those years. Coming from a family of Malaysian Sikhs, his palate is diverse and he is one of the best and most passionate cooks of Chinese food I know. As a Senior Lecturer of Biochemical Engineering at UCL, he also has access to something invaluable, the recommendations of his international students. We decided to head here for the first time on one such recommendation. We ordered Rice noodle soup with Roast Duck and Pickled Veg along with some Har Gau (steamed prawn dumplings) and turnip paste to get the ball rolling. To drink, we had some delicious Tie Guaynin or Iron Buddha, one of my favourite teas. When we placed our order, the waitress looked confused. When we asked if it was a good choice she replied “Well, I love it, but I’m not sure you will.”. On our assurance we weren’t going to be difficult she reluctantly walked off to the kitchen. On cue, a troublesome customer at another table hit the roof after being served sweet and sour something or other with PEPPERS of all things, contained therein! We understood our server’s caution. I expect if we’d ordered sinew or tripe we might have been shown the door! The dim sum we ordered were fairly standard, the turnip paste being the highlight but we weren’t here for that! We were very pleased when our dim sum were swiftly followed by the main event. The huge bowl of soup was placed between us, smelling delightful. We could identify the duck, carrot, sliced xiang gu (shiitake) mushrooms, carrot, sliced yard long beans, pickled mustard greens and of course the noodles themselves. The duck broth was aromatic, light and delicious. The complexity of flavour was quite incredible considering the thin consistency of the soup. We learned afterwards from the owner that the juices from the roasting ducks are added to the broth to improve the flavour. Our waitress, whose name we discovered is Susan warmed to us after our enthusiastic reaction. This really was an unknown and we weren’t sure what to expect but left with saisified grins on our faces and a taste we couldn’t stop remarking on for some time afterwards as we made our way to our next stop….